The National Spatial Data Infrastructure (NSDI) is described by Executive Order 12906 (“Coordinating Geographic Data Acquisition and Access”) as “the technology, policies, standards, and human resources necessary to acquire, process, store, distribute, and improve utilization of geospatial data.” The NSDI has become a critical vehicle for facilitating seamless data development, information sharing, and collaborative decision making across multiple sectors of the economy. FGDC and its partners have developed a strategic plan for the NSDI that describes a shared national vision of the NSDI and includes a set of goals and objectives for the role of Federal agencies in achieving this vision. 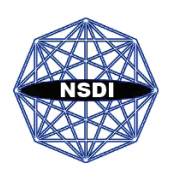 The NSDI leverages investments in |people|technology|data|procedures to create and provide the geospatial knowledge required to understand, protect, and promote our national and global interests. The strategic plan also describes the steps the FGDC community will take to implement the goals, objectives, and actions in the plan, including development of project plans and performance measures in collaboration with partners and stakeholders. For more information, visit www.fgdc.gov/nsdi-plan. The FGDC has also led the development of the OMB Circular A–16 Supplemental Guidance, initiated the implementation of a geospatial portfolio management approach, and led the development of the Geospatial Platform initiative. The OMB Circular A–16 Supplemental Guidance addresses portfolio management for the coordination of Federal geospatial data assets and investments to more efficiently support national priorities and government missions. Portfolio management will apply consistent management approaches to help increase the quality of data through best practices and documentation in a manner that reduces duplication and cost and provides greater accessibility. The Geospatial Platform will provide a suite of shared services and capabilities to Federal agencies and partners. These developments build upon the previous processes and accomplishments of the FGDC and will provide a means to more efficiently manage and deliver Federal geospatial products and services in the coming years.